This train operator is owned by DB in Germany and formerly traded under the name of EWS. 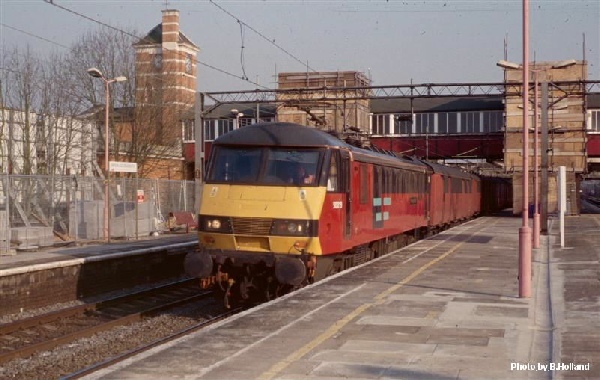 They have a fleet of 24 class 90s which are owned outright by the organisation. 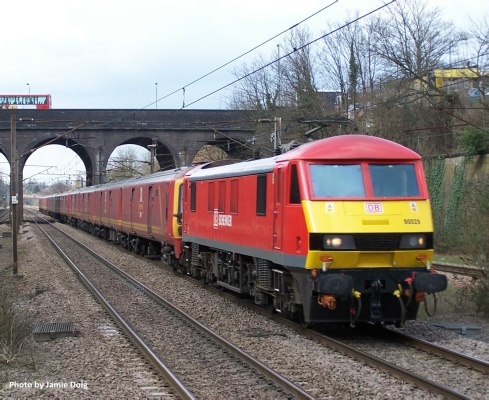 Despite having 24 locos, only 12 of these are in the active pool and can often be found working freight services on the West Coast Main Line to and from Scotland. 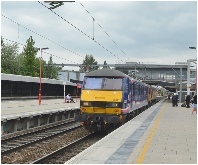 The DB class 90s are often used for charters and railtours travelling over various routes, but mostly on the WCML and ECML. These engines can sometimes be found performing freight trains. DB class 90s finished working sleeper trains on the morning of the 7th December 2015, which was operated by 90020. Despite no official booked passenger workings, the loco’s can still be seen operating charter trains and passenger trains in East Anglia. 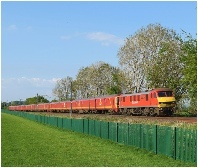 As well as working passenger trains for AGA and other selected freight trains on the WCML and ECML, DB 90s also find themselves working private charter trains in addition to performing the odd Royal Mail train when class 325s are suffering from poor reliability which involves the unit being dragged. Other duties include engine movements between Crewe and Wembley . 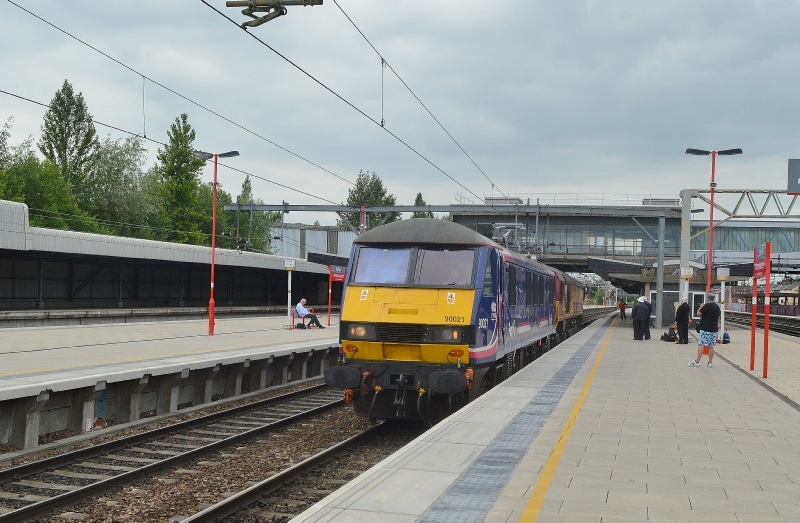 The DB class 90s are diagrammed to work 4M25 and 4S47 between Mossend-Daventry as a pair of 90s assuming their available for traffic as well as 6V15 & 6X65. In addition, 6M76, 6G74, 6S94 and 6X52 are also often a DB 90 too, but can also be formed of other traction types.